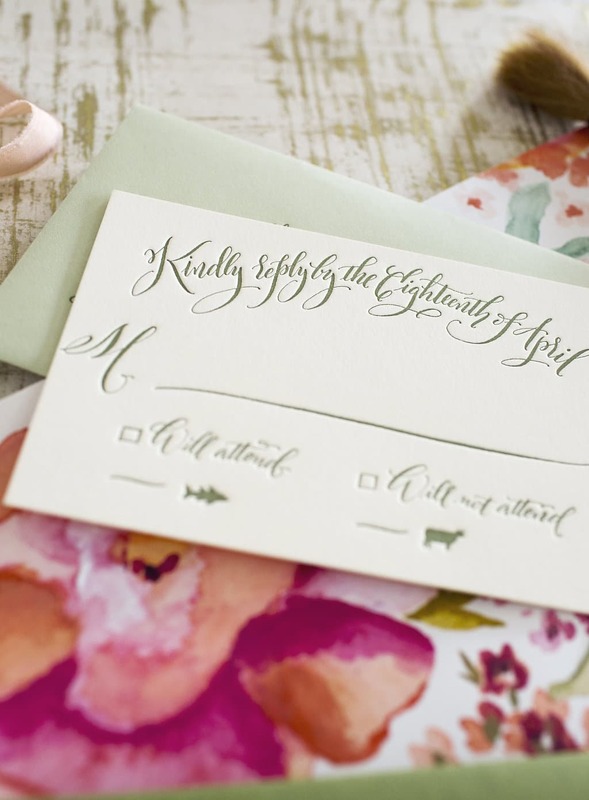 Laura + Michael selected an earthy palette for their intimate garden wedding at the bride’s family’s historic Pennsylvania home. 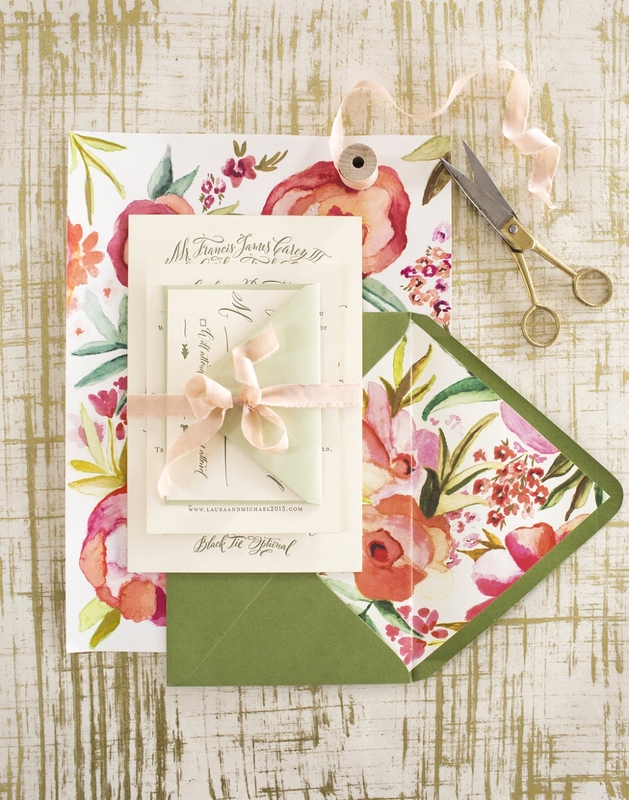 Inspired by their lush venue, they wanted to make an impact from the moment their guests opened their invitations! 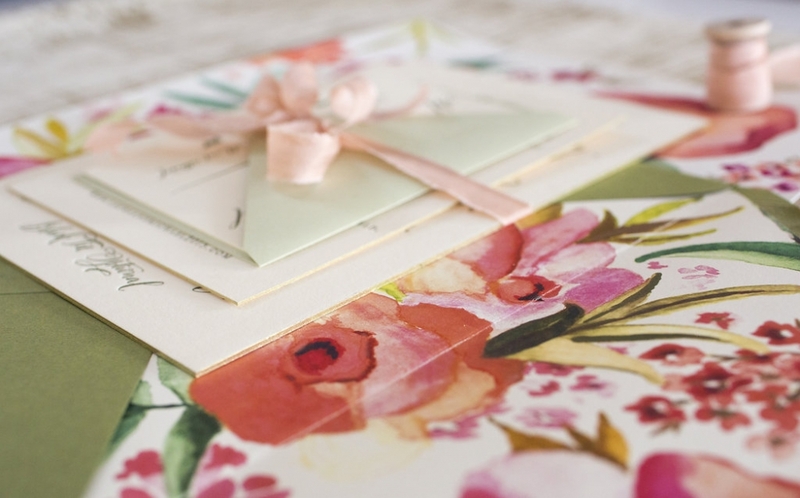 A hand-painted, watercolor floral liner decorated each envelope + housed a beautiful collection of letterpressed enclosure cards. 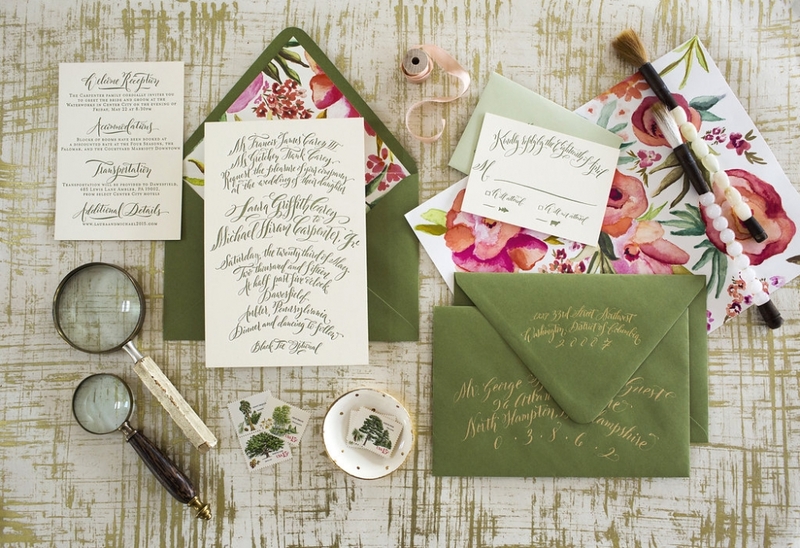 Moss + mint green were chosen as coordinating envelope colors, echoing the various greens of the garden. 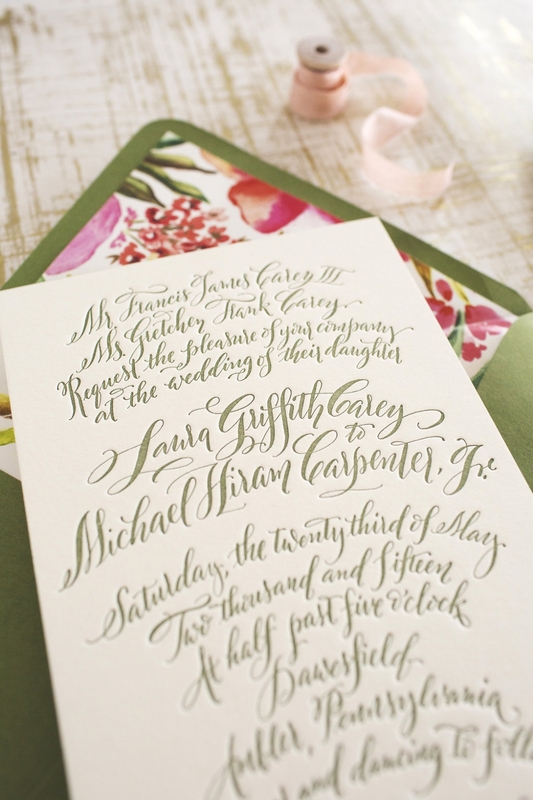 The curvy hand calligraphy was printed in a gorgeous moss ink, tying the interior + exterior of this suite together. Embellishments of gold (gold edge painting, gold foil return addresses + gold envelope calligraphy) dressed everything up, making this invitation one of the most sophisticated + artful collections we’ve created.